Do you make your own holiday decorations? Have you ever wanted to make your own decorations? Or do you remember making decorations and gifts in school as a child? 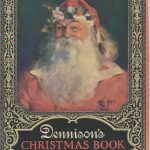 This 1923 booklet, Dennison’s Christmas Book, by Dennison Manufacturing Co. includes suggestions for Christmas, New Year, and Twelfth Night parties. For now, let’s take a look at the Christmas decorations. Need a fireplace for Santa? No worries! Dennison’s Christmas Book comes to the rescue with the idea of building “a light wooden frame to which is tacked cardboard” and finishing it off by gluing “stones” onto the cardboard. The “stones” of the “fireplace” are made from stuffed gray crepe paper. Dennison Mfg. Co., Framingham, MA. 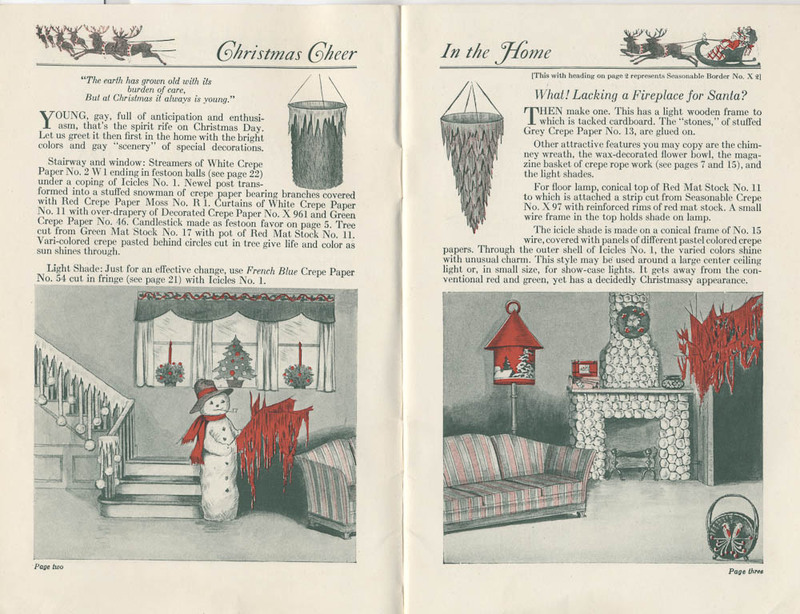 Dennison’s Christmas Book, 1923, pages 2-3, Christmas decorations including snowman and fireplace. The booklet continues with illustrations and descriptions of other homemade decorations. Whether for small projects, such as making Christmas tree ornaments with crepe paper cut-outs of animals, or for larger projects, such as creating a winter scene with a snowman, crepe paper seems to be the main material needed. There is also a page with directions for making crepe paper bells, poinsettias, and snowballs as well as an easy way to make a paper star using just scissors and a square piece of paper. Dennison Mfg. Co., Framingham, MA. 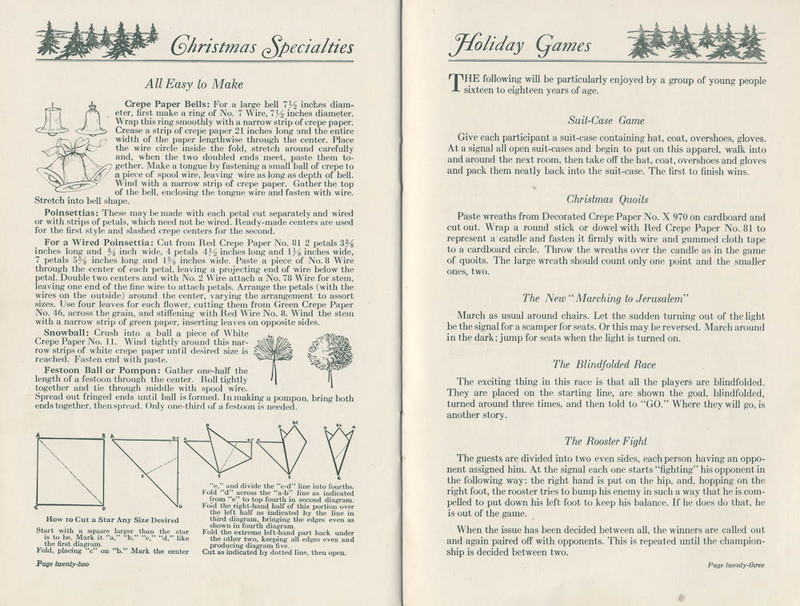 Dennison’s Christmas Book, 1923, pages 22-23, instructions for crepe paper decorations and ideas for holiday games. 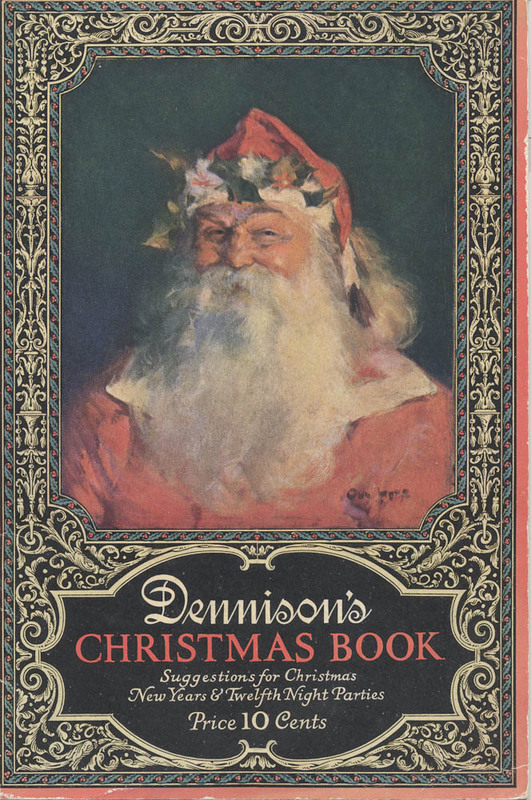 The 1923 Dennison’s Christmas Book, located in the Trade Literature Collection at the National Museum of American History Library, is just one of many Dennison Manufacturing Co. items in the collection. Take a look at Galaxy of Images to see more pages from this booklet. For those of you curious about Twelfth Night parties, check back in the beginning of January! Next Post Search “Reindeer” on BHL! Thank you for this post. It’s an eye-opener for our society! I like the ideas you presented on A Homemade Christmas. It’s nice to get inspiration from wherever we can when it comes to making our own Traditions.